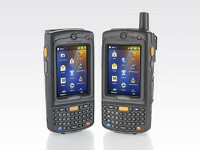 The MC3190-Z offers the best of form and function with Motorola MAX Rugged and Motorola MAX Data Capture. While the MC3190-Z is designed for the carpeted space, Motorola MAX Rugged provides Motorola’s flagship rugged specifications to ensure dependable operation and a maximum lifecycle in any environment. The reader passes one of the industry’s most stringent impact tests, able to survive a 4 ft./1.2 m drop to concrete across the entire operating temperature range. In our unique endurance test, the MC3190-Z performs reliably after 1,000 1.64 ft./0.5m hits in our tumble drum. And with IP54 sealing, the device can withstand dust, spills and the routine wipedowns required in healthcare and other challenging environments. 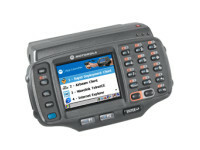 Motorola MAX Data Capture puts two best-in-class advanced data capture technologies in one device — the ability to read RFID tags and scan bar codes. 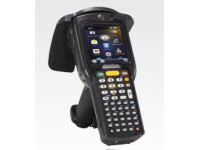 This versatility translates into fewer devices to purchase and manage. 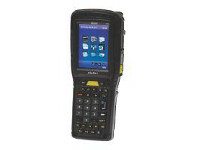 And just because the MC3190-Z offers advanced RFID technology does not mean you need to sacrifice bar code performance. 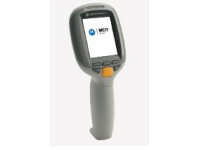 The device accurately captures even damaged and poor quality 1D bar codes. When you choose the Motorola MC3190-Z, you enjoy the advantages of a world-class partner channel, world-class management solutions and world-class services. Our award-winning partner ecosystem offers a best-in-class, broad set of ready-to-go and custom applications for the MC3190-Z, minimizing deployment time and cost. Compatibility with Motorola’s Mobility Services Platform (MSP) and the Motorola Mobility Suite offers extraordinary centralized control over all your Motorola devices, including the ability to remotely stage, provision, monitor, troubleshoot, secure data on the devices and much more. And since your employees will count on the MC3190-Z every day, our Service from the Start with Comprehensive Coverage will help keep your devices up and running at peak performance. This unique service includes normal wear and tear, as well as coverage for internal and external components damaged through accidental breakage at no additional charge — significantly reducing your unforeseen repair expenses.